LPCover Lover | Out Satan!! 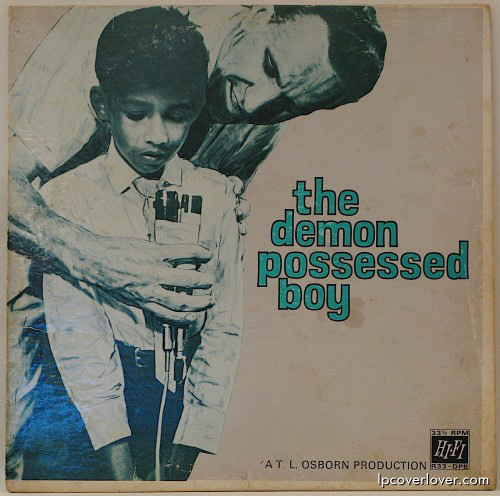 “The Demon Possessed Boy” A T.L. Osborn Evangelistic Production Like A.A. Allen, Osborn was a Soul Crusader who traveled the country – the world – healing the sick and possessed, driving out demons and performing assorted miracles. He recorded his big tent revival meetings and audience responses. 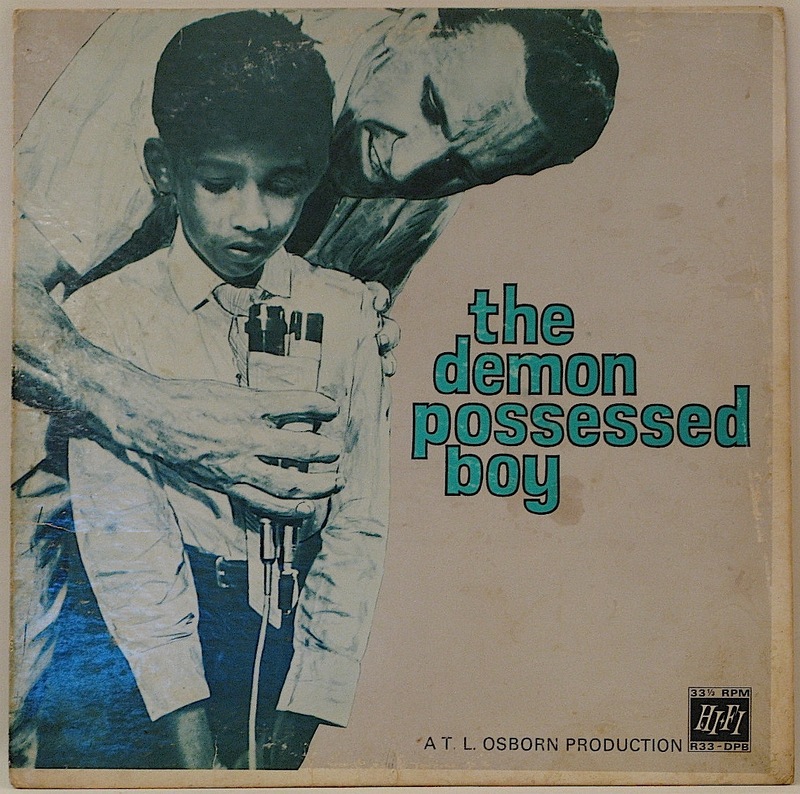 This record features a boy who misfiled his father’s records one day, leading his father to suspect the devil’s hand and bring him to see the great and mighty Osborn. 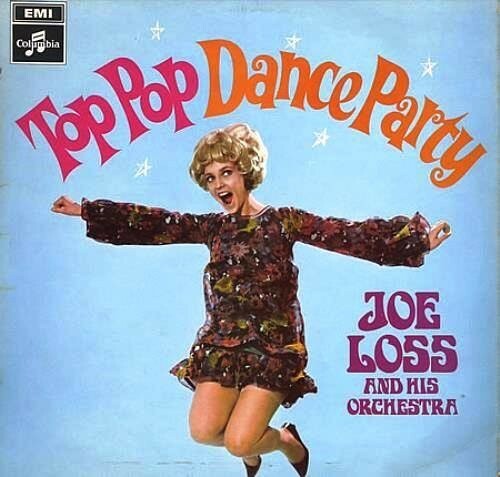 In this recording, T.L. dramatically illustrates his power of exorcism, leaving the boy cleansed, never to mistake James Brown with Clifford Brown again. True story. All right son, talk right into the mic and wait… sniff! sniff! Have been in moms perfume again??? I gonna have to have a lonnng talk with that boy. All right son, talk right into the mic and waitâ€¦ sniff! sniff! Have you been in moms perfume AGAIN??? So you can be clean of all Sin for the rest of your life, you will wear this nerdy pen-holder in your shirt pocket to protect your Soul! This boy went on to grow up and become Fat Boy Slim. Make sure you pay your Exorcism bills, or else you’ll get repossessed.